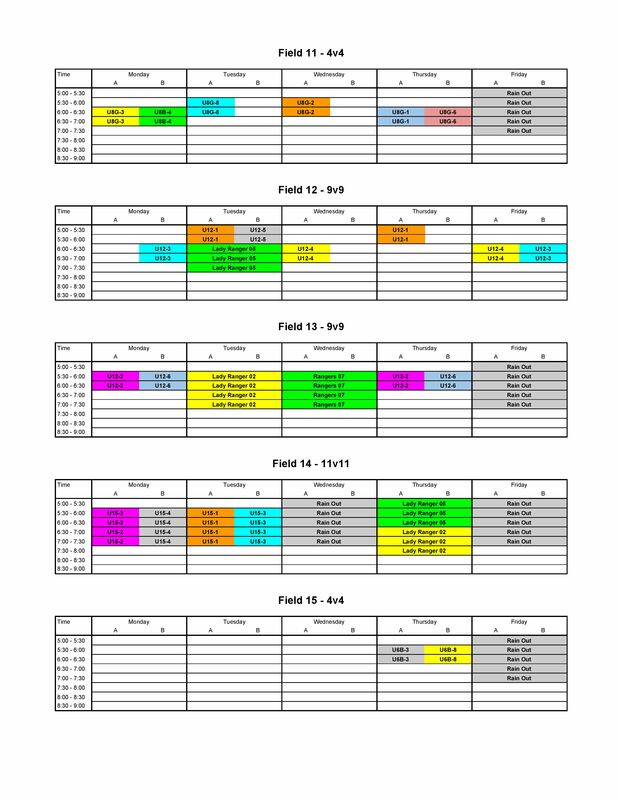 Assigned practice times AND Fields can be seen below for all teams. Coaches should use their assigned times and fields. Days marked as RAIN OUT should be reserved for true rain out make-up time and NOT just as “extra” practice time. Days NOT marked are first come first serve and are also subject to other uses by the city. 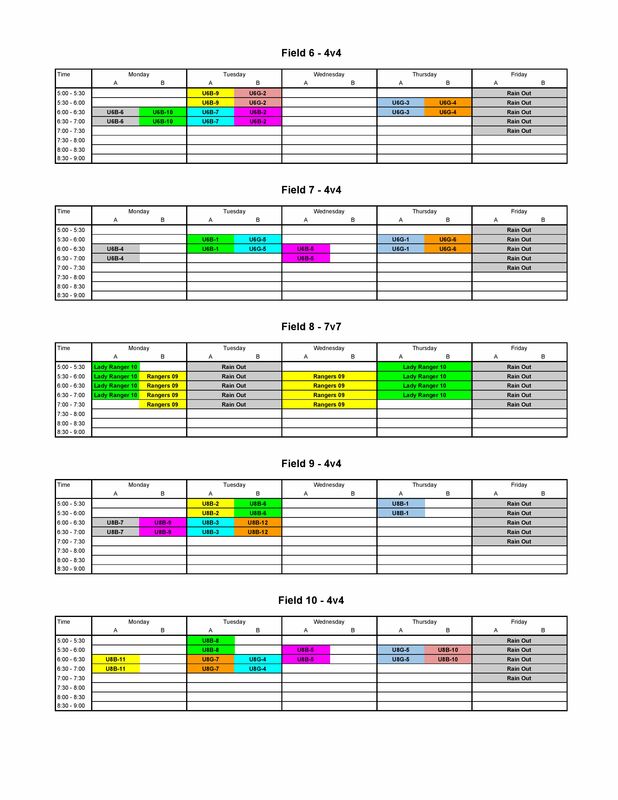 Also available is a downloadable and printable PDF version of the schedule. Generally two Recreational teams are assigned a field at the same time and this is denoted as A and B in the schedule (though it does not matter WHICH end a team uses). Some of the competitive teams are assigned a full field due to larger roster sizes. For divisions split by gender, teams are denoted with a G or B for Girls or Boys. 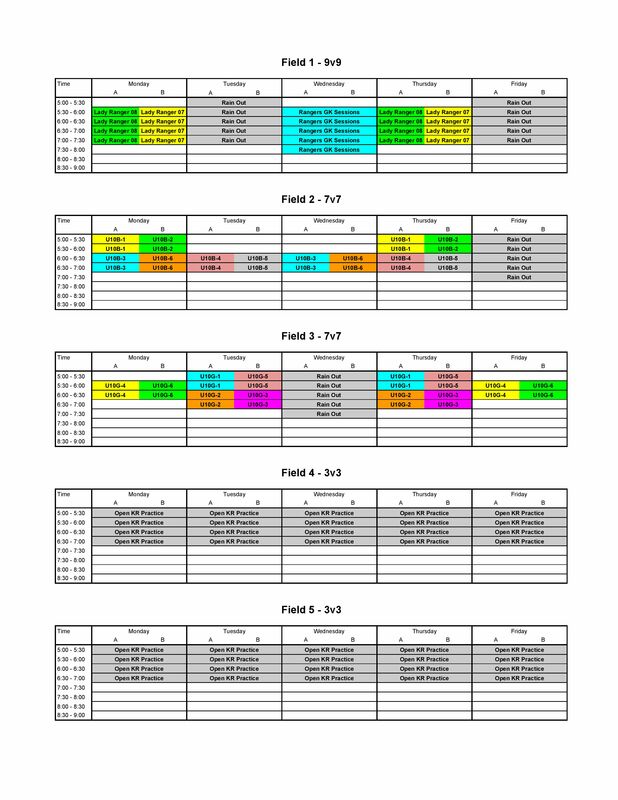 Example – U10G-2 is U10 Girls Team 2.